I thought all waffles were Belgian… I was totally wrong. 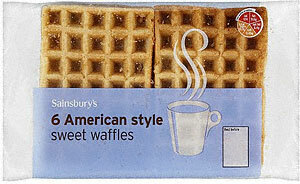 According to Wikipedia’s entry on waffles, American waffles have a baking powder leavened batter, instead of yeast. So, while this entry isn’t really a misuse of the term, “American”, I’m including it because I learned something! 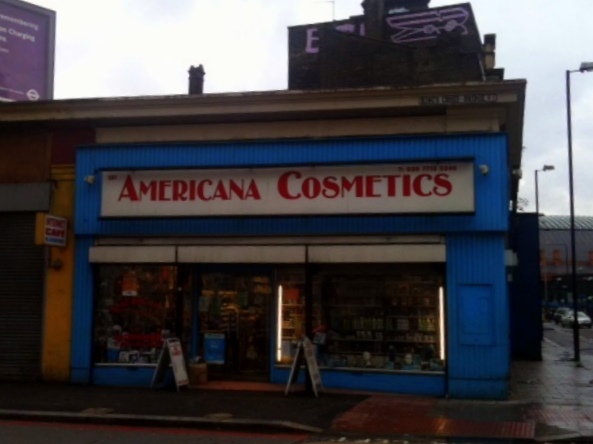 I was walking up near King’s Cross when I discovered this shop, and of course, I had to go in. The shop seems to largely sell black hair products; although, I did pick up a jumbo sized container of Palmers Cocoa Butter for far less money than I’ve ever seen it in Boots. Score! 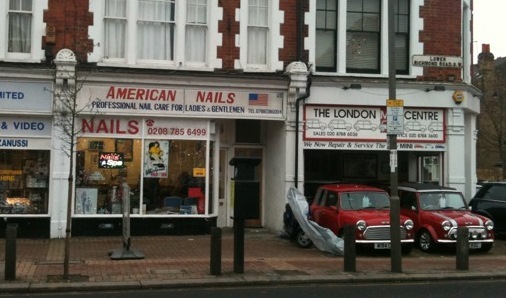 London even has an American Carwash. 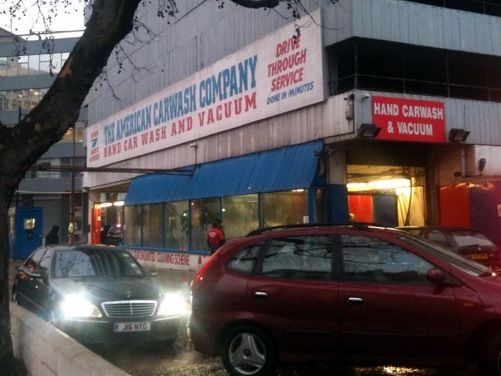 Admittedly, this is the only carwash I’ve ever noticed in central London in the past three years. 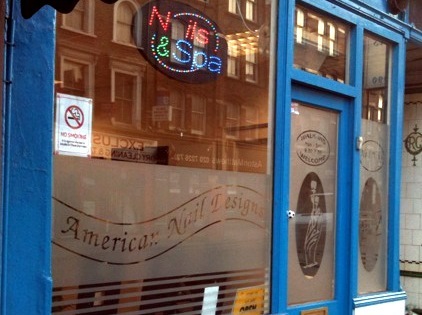 Little did I know, the Americans are famed for their manicure design talents in England! Perhaps I’m noticing this sort of misuse of the American flag and term, “American-style” now that I’ve added a category to document it. 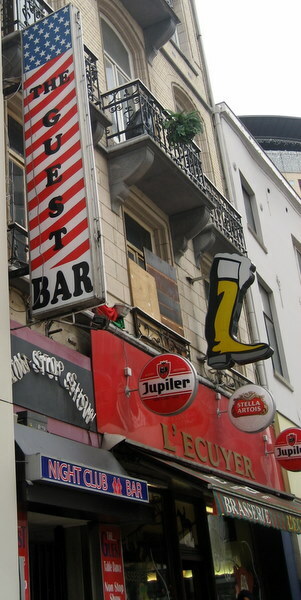 Anyway, this pole dancing bar in Brussels caught my eye. The only reference to the States is the flag, but still, it’s a big sign! 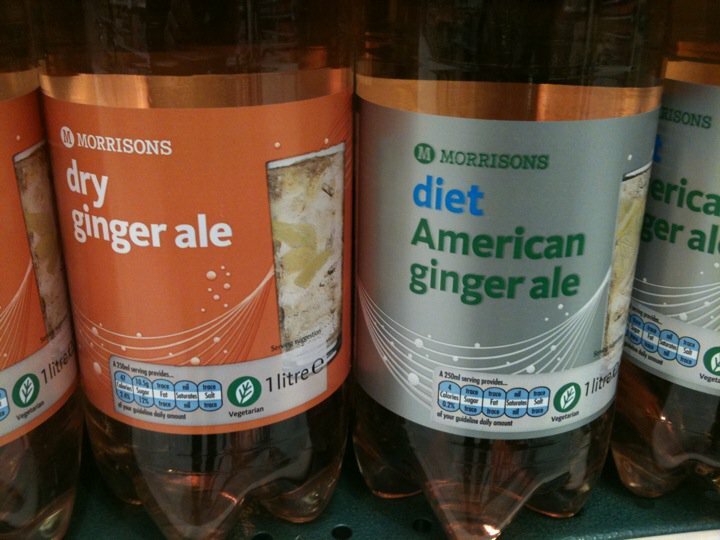 No one can tell me what constitutes, “American Ginger Ale”. I do find it suspicious that only the diet version is American. 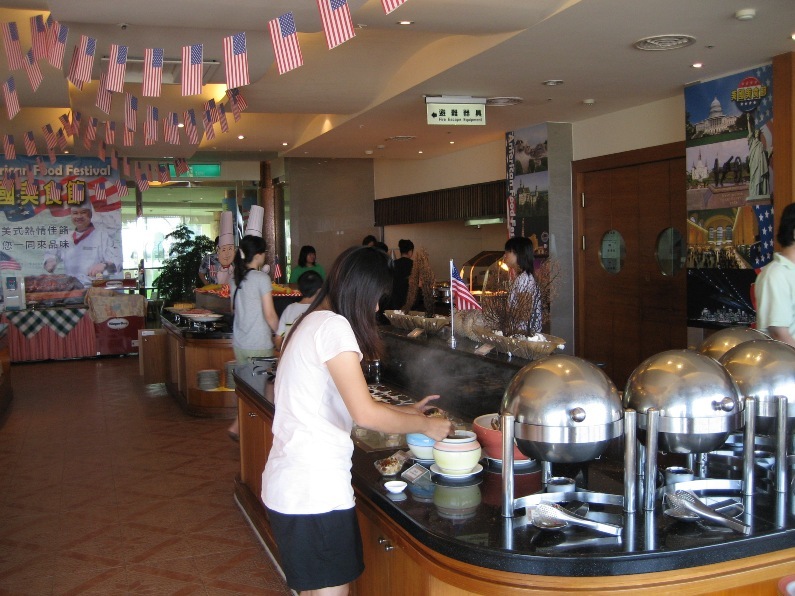 While in Kending earlier in the week, we had a few meals in our hotel as a part of the booking package. 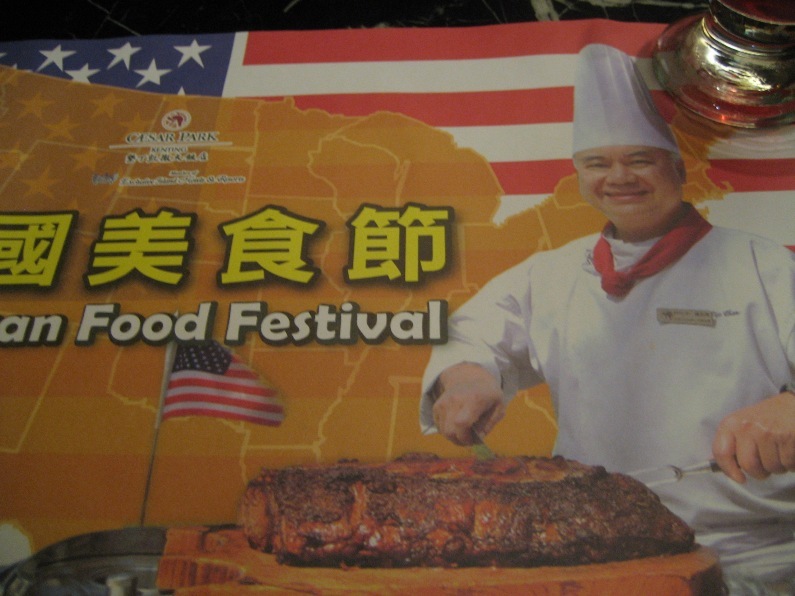 The first night, we accidentally found ourselves at the hotel‘s American Food festival. 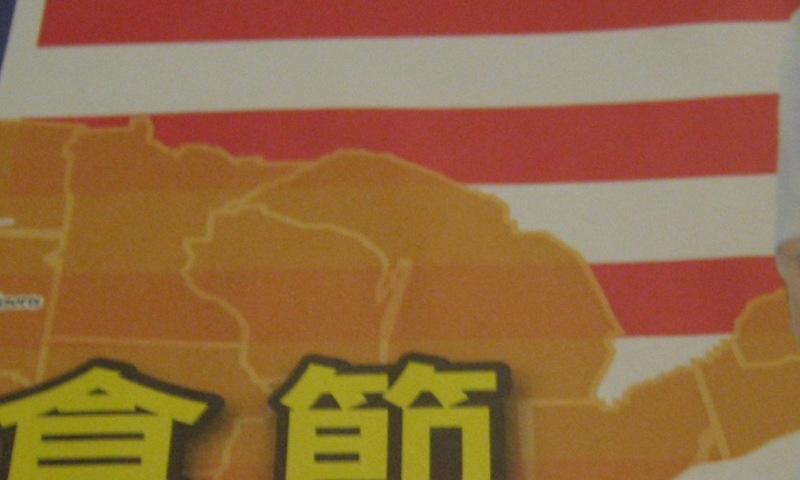 I should have known this wasn’t a good idea when noted that Michigan had merged with one of the Great Lakes on my placemat. Thing is, morbid curiousity had fully taken over, leaving reason miles behind. Quite accurately, the meal kicked off with a sizable salad bar. It’s really quite strange to the culture of one’s birth interpreted by a completely different culture. It was definitely festive, though! Taiwan has wonderful fresh fruit. I suppose I didn’t need to have both a vegetable salad and a huge fruit salad before dinner, but I can’t deny my own nature. 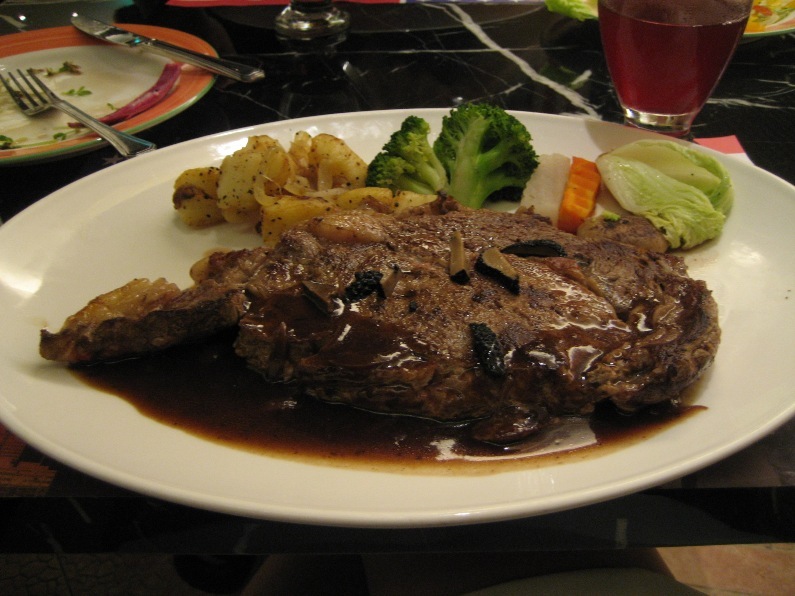 For an entree, I ordered the steak. It was mammoth. I believe it may be the reason why Michigan is out of sorts at this feast. 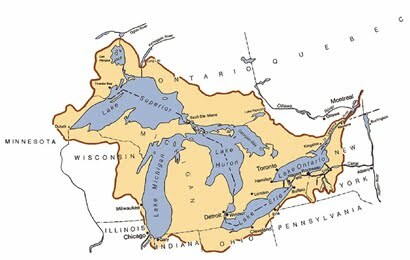 Looking at the northern Midwest, as it typically looks in exhibit A, one can see how the Lake Michigan seperates Michigan and Wisconsin. Despite being frequently teased for my appetite, I managed to eat about a third of the steak because I had been a bit ambitious at the previously mentioned salad bar. Our waitress was extremely concerned by my failure to eat more of the steak, and despite my genuine efforts to reassure her that I had enjoyed it, I’m not sure she really believed me. Given that the Taiwanese are not a large people, nor are the Japanese who are frequent tourists to Kending and the Kenting Park, I couldn’t help but wonder if my culture’s stereotype of being a people who approach eating with the zeal of sumo wrestlers in training had been taken very literally. Really, though, I just hope it all works out for Lake Michigan.